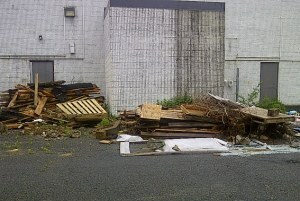 Ditch the Dumpster - We Pick Up Onsite! When the job's in progress, you've got more to think about than cleanup. 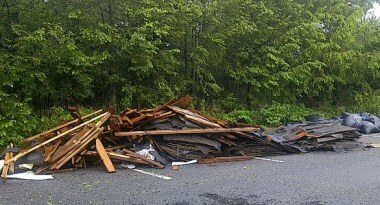 Whether it's wood, scrap metal, concrete debris, or any other construction material, one call to 1-855-F'IN-JUNK gets it all out quick. Instead of parking a dumpster at the jobsite, let our experienced team of junk removal professionals make a pickup for you. We'll load it into the truck and haul it away, and leave the place cleaner than we found it. Need to get rid of production waste materials or liquids? 1-855-F'IN-JUNK picks it all up on location. Just give us a call or schedule online, and we'll be there to keep your business junk-free and running smoothly. Got old vehicles, trailers, or heavy equipment that's not needed anymore? We can haul those away too, running or not. How much does it cost to remove Construction Waste? If you know the approximate volume of scrap material that you're expecting, you can generate a ballpark estimate by referring to F'IN-JUNK's junk removal volume rates. How do I schedule junk removal? Scheduling is easy, and only takes a minute. 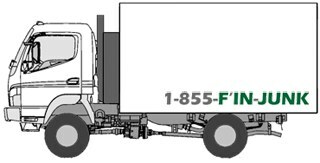 Just give 1-855-F'IN-JUNK a call during business hours at 1-855-346-5865, or schedule online anytime.